"...Yesterday marked the first night of "SPARK FX '09", a movie festival featuring some of the best samples of special effects from the last 50 years. 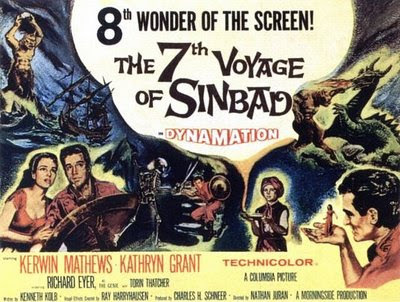 They kicked off the night with an early showing of "The 7th Voyage of Sinbad", released in 1958 and made with a budget of $650,000. Like many in the audience, it was my first time seeing this groundbreaking movie. Before the house lights went down, the film was introduced by Ken Priebe, an Educator for Vancity Theatre and a special effects expert. 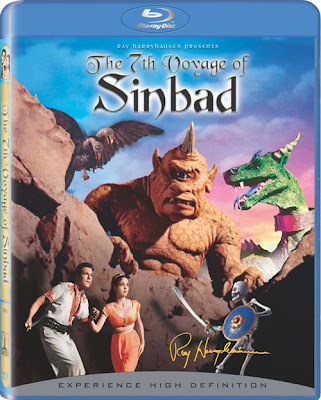 He spoke about visual effects master Ray Harryhausen, who wasn’t just the ubertalent behind the effects of this movie but also was the brain behind the initial concept of the movie itself. He was constantly on set and worked very closely with the crew. Priebe took us through, in layman’s terms, the meticulous and time-consuming process that led to this historic film. It was shot in Spain; all live action at first. Then, back in the studio, Harryhausen would create clay “action figures” and the movie would be screened from behind, playing frame by frame. 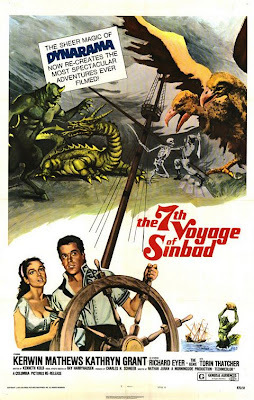 In front of the film, Harryhausen’s 'Cyclops, 'dragon' and 'dueling skeleton', would move millimeter by millimeter, matching action on the screen. 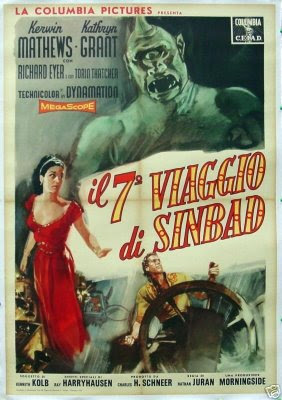 "7th Voyage" was also the first time a feature like this had been released in colour and the first time Harryhausen featured several creatures rather than one. Priebe said we might be tempted to laugh at the 'cheese-factor' of these outdated animation techniques, but reminded us of what it would have been like to have been eight years old, sitting in the cinema with a Coke and popcorn, seeing this extraordinary adventure for the first time. This family friendly movie is available on Blu-ray DVD. I recommend checking it out when you can. The creatures are great fun and the effects impressive. You might just feel like you’re eight years old again... "